Route 14 Bridge over Lake Rockwell - PRIME AE Group, Inc.
PRIME performed the engineering services required for the replacement of the Route 14 Bridge over Lake Rockwell in the City of Streetsboro, OH. The existing bridge was a 162-foot three span rolled-steel beam bridge that carried more than 19,000 vehicles per day between the cities of Streetsboro and Ravenna. 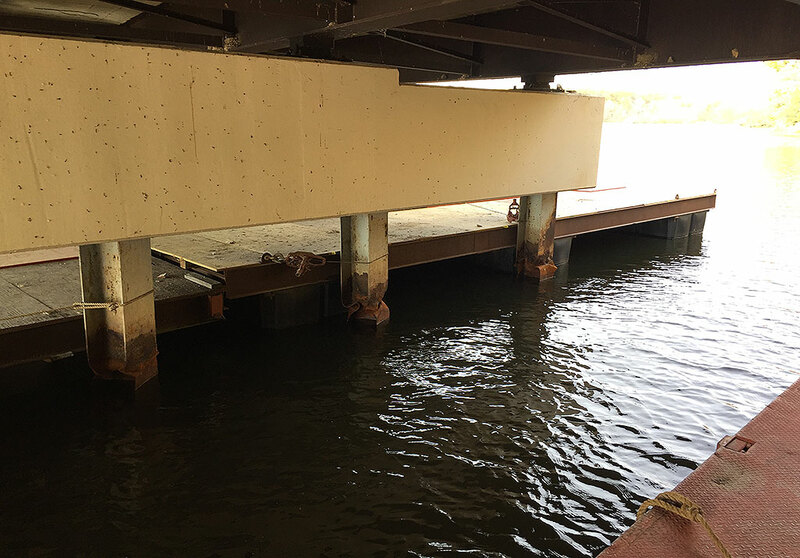 It was discovered that the bridge was settling; the existing steel H-piles supporting the capped pile piers had buckled at approximately normal water elevation causing the bridge to sag ten inches. The bridge was immediately closed and ODOT procured the bridge replacement via the design-build delivery method. 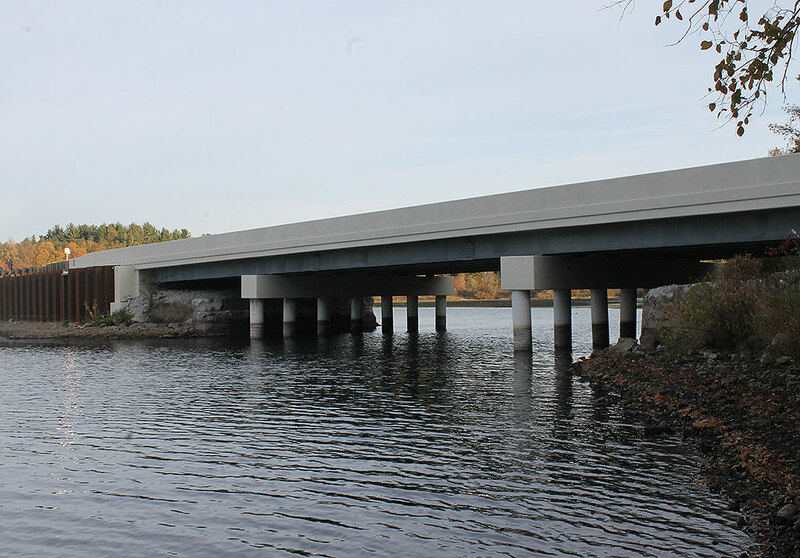 PRIME was responsible for the design of the replacement superstructure that is supported by the existing abutments and new capped pile piers on galvanized piles encased in concrete to protect against future erosion. Due to the impact this closure had on the traveling public, ODOT had an aggressive schedule to complete the design and replacement 45 days from issue of permits. PRIME completed the plans by mid-November, or within 39 days. Recipient of the 2018 ACEC/Ohio Honor Award.